The long awaited update to the Canon EOS 6D is finally coming to Singapore on 27 July 2017. Canon EOS 6D Mark II is the lightest DSLR in the EOS full-frame DSLR line that offers you the high image quality of full-frame DSLR functions, packed into a nimble and compact body that only weighs 685 g (body only). It is also the first full-frame DSLR by Canon to be equipped with a versatile Vari-angle touch panel, giving you the flexibility of shooting from a high or low angle. The EOS 6D Mark II also comes with Wi-Fi and NFC connectivity, letting you transfer your beautiful shots from the camera to the smartphone for immediate updates on your social media networks. An upgrade from its predecessor, the EOS 6D Mark II comes with Dual Pixel CMOS AF technology for high-performance focus tracking in Live View mode as well as DIGIC 7 image processor for high image quality even in dimly lit situations. The Canon EOS 6D Mark II will be available at authorised Canon dealers in Singapore 27 July 2017. Pre orders made between 13 July and 26 July 2017 will be entitled to a free Canon professional camera bag pack worth S$289. The EOS 6D Mark II Body is priced at S$2,899. The EOS 6D Mark II with 24-70L IS kit is priced at S$3,949. 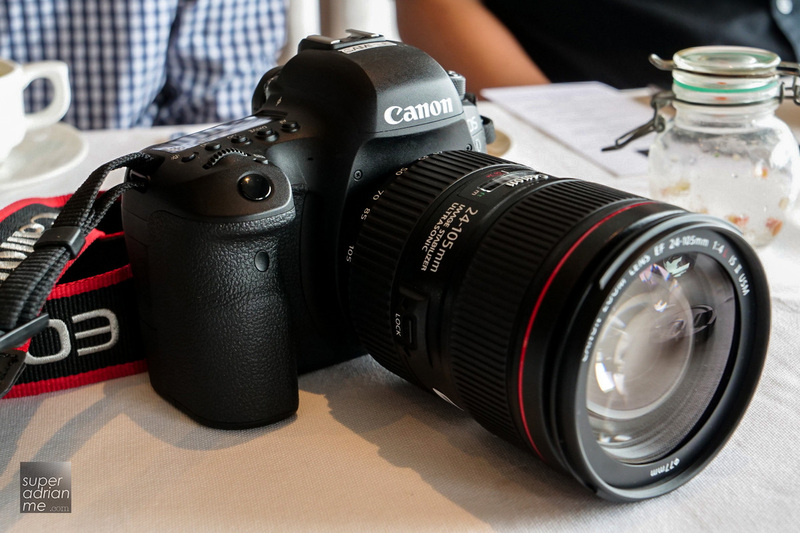 The EOS 6D Mark II with 24 – 105L IS II kit is priced at S$4,299. With a huge leap from 11-point in the EOS 6D to 45-point all cross-type AF system, the 45-point all cross-type AF system provides AF coverage over an expanded area during viewfinder shooting. Of the 45 points, 27 are f/8 compatible, resulting in excellent performance when using an extender. Additionally, the EOS 6D Mark II possesses a continuous shooting speed of up to 6.5 fps, which promises sharp image capture of even fast-moving subjects. In Live View mode, continuous shooting speed is still impressive at up to 4 fps. Coupled with enhanced ISO speeds of up to 40,000 (expandable to 102,400), you are able to capture exceptionally low noise images. With the sensitivity of the centre AF point rated at -3EV, the EOS 6D Mark II can consistently acquire focus in extremely low light levels (roughly equivalent to the light cast by a full moon). The EOS 6D Mark II is equipped with a 7560-pixel RGB+IR metering sensor and a colour detection AF that enables consistent and accurate exposure in various lighting conditions. It automatically detects skin tones and prioritises focus on human subjects within the frame. With the addition of the lens aberration correction settings, the EOS 6D Mark II automatically detects the lens paired, and corrects distortion and diffraction at the time of shooting. To offer you unbridled flexibility and room for creative expression, several features are incorporated as a first in Canon’s full-frame EOS series. Sporting a Vari-angle touchscreen LCD monitor, you will be able shoot from high to low angles nimbly. This is complemented by the inclusion of the brand new Panning function. This Panning function helps in enhancing the background blur while keeping the main subject in focus by automatically selecting the optimal shutter speed by analysing the panning speed of the camera and the speed of the subject. 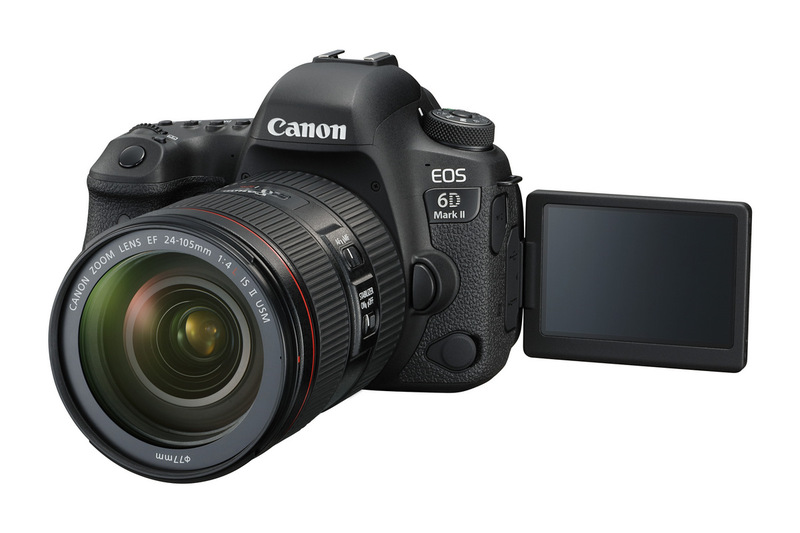 The affordable EOS 6D Mark II offers videographers the enjoyable experience of shooting professional movies in full HD at a seamless 60p. Powered by the high speed Dual Pixel CMOS AF, a proprietary Canon-developed technology, smooth and high-performance focus tracking can be achieved when shooting in both Live View and movie mode. When recording movies, the EOS 6D Mark II is able to continuously track the movements of subjects seamlessly, and also enable you to switch focus from a foreground subject to a background subject quickly and simply via touch focus on the Vari-angle LCD. In addition, tracking sensitivity and AF speed can be customised to allow movie-makers to create their desired effects. To combat shaky footages caused by movement, Movie digital IS provides the highly effective 5-axis image stabilisation to support handheld shoots, even when paired with non-IS lenses. With the 4K Time-lapse movie function, movie-makers can also capture moods and moments by combining still images shot at intervals over time. For example, you can produce a high-quality Time-lapse movie of the sunrise, sunset, moving clouds or heavy traffic on a bustling street. With Wi-Fi and NFC connectivity, you can transfer images and videos from the camera to the smart devices and upload them onto the Canon Image Gateway, social media platforms and cloud storage. 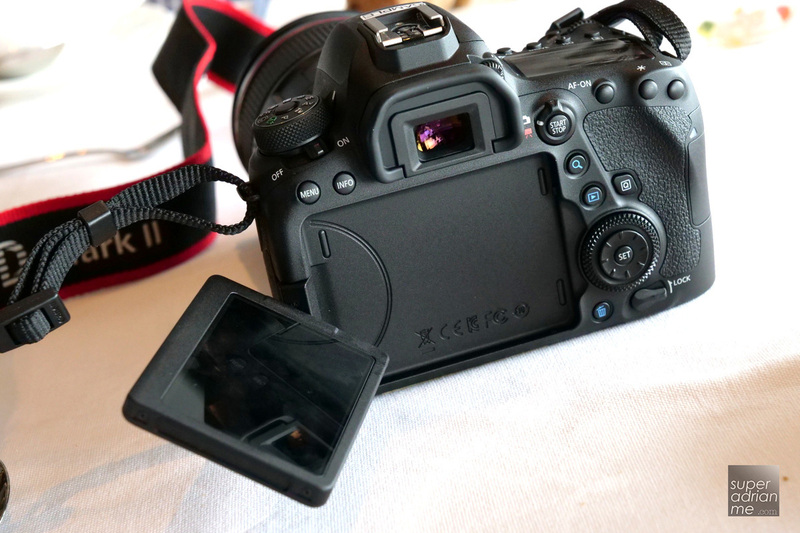 Also by using the Canon Camera Connect app, you have real-time control of camera settings such as shutter speed, focus selection and self-timer and more. In addition, the EOS 6D Mark II features Bluetooth low energy technology which maintains a constant connection to a compatible smart device at a low power consumption. 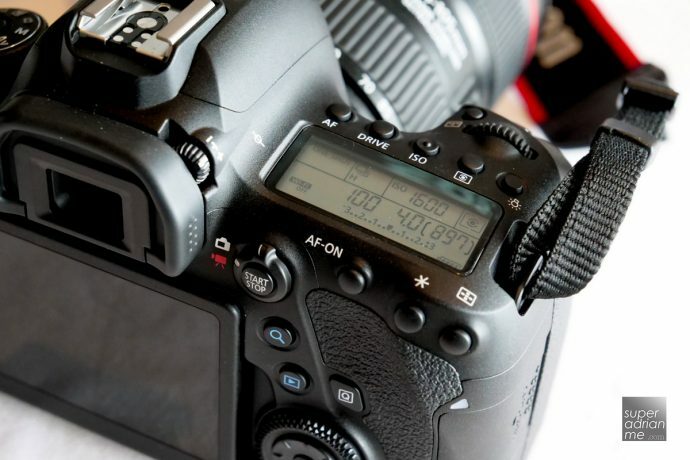 With this constant connection, you can view images and start remote capture from the camera even when it is in Auto Power Off mode. Smart devices, when paired with Bluetooth, can wake the camera up, and then switch to Wi-Fi for browsing and viewing images or performing remote capture (with Live View). Equipped with a GPS receiver, you can also log coordinates of every place that they have photographed, which can be stored as metadata accompanying each image. A GPS log can also be kept to create a map of places photographed as a record of the places you have been to.